A choice of room types including a romantic King Suite with Jacuzzi or family lodging in a Double Queen Room or Efficiency Suite. All are clean and comfortable for your weekend getaway or weeklong vacation. Our Gatlinburg Inn features plenty of onsite amenities that will have you enjoying your down time just as much as having all the vacation fun you can. 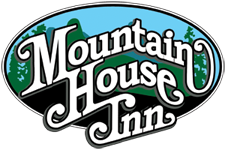 When you're ready to relax, Mountain House Motor Inn is the place to be. You're going to love being just a block from downtown Gatlinburg and within walking distance of your favorite restaurants, attractions and shops. Walk or ride the trolley from our front door to satisfy your hunger and have a great time downtown!